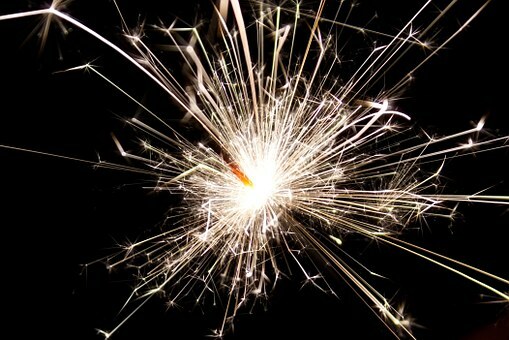 In the early part of the month we had the Bonfire fireworks with hot dogs and hot drinks for the residents, their families and friends. 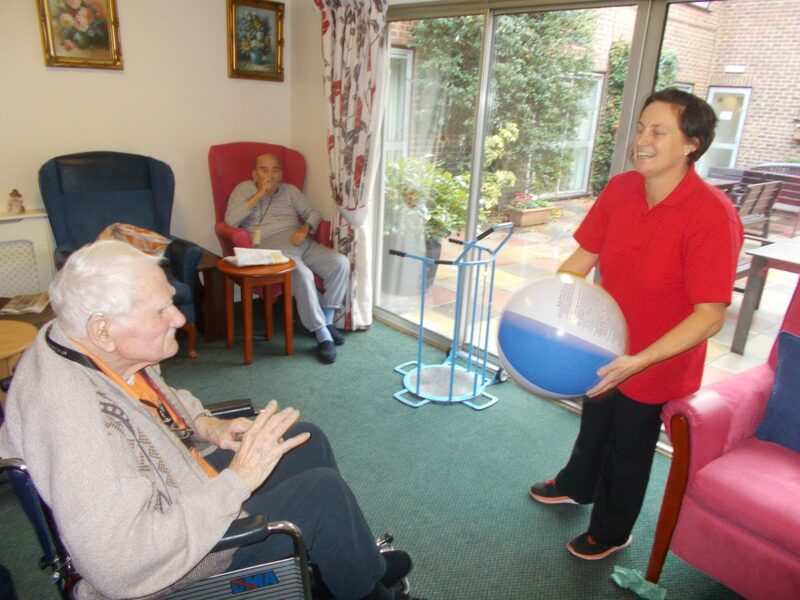 There have been picture quizzes, bean bag board and on the 6th we had ball bounce with the lovely Becky, which really helped to get the residents animated and having a giggle. 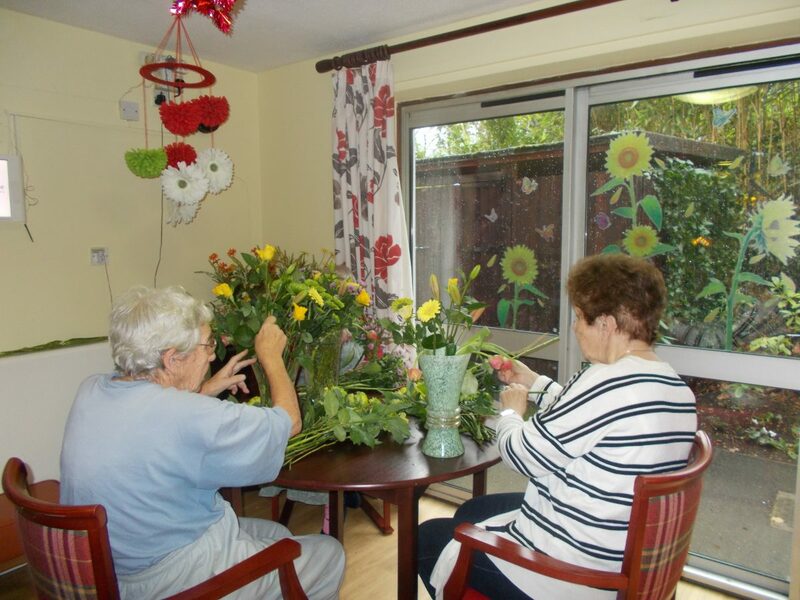 On the 4th November some of our new residents joined in to do the Flower arranging where some lovely arrangement were done. 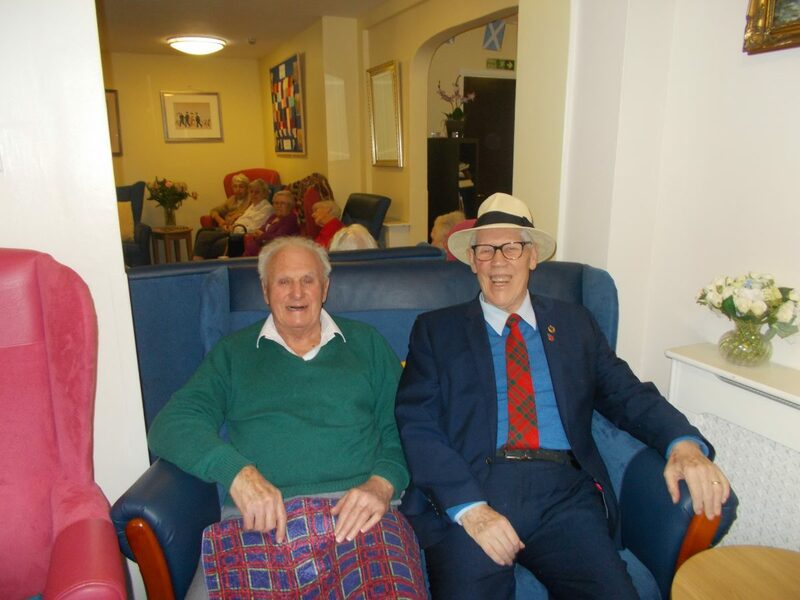 The Beetle Drive was a good opportunity to team up and help each other. 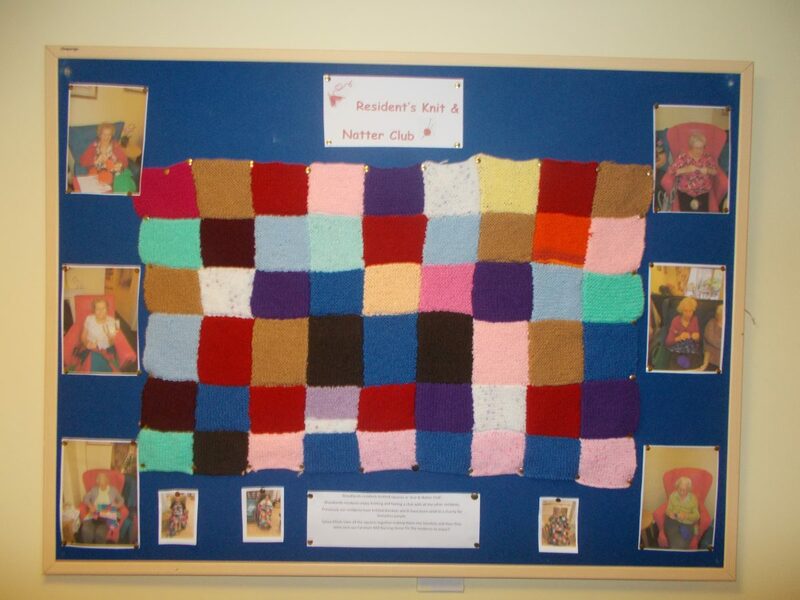 One the 13th the residents Knitting and Natter club arranged for a board with photos of them showing all of their lovely work that has been done throughout the year. 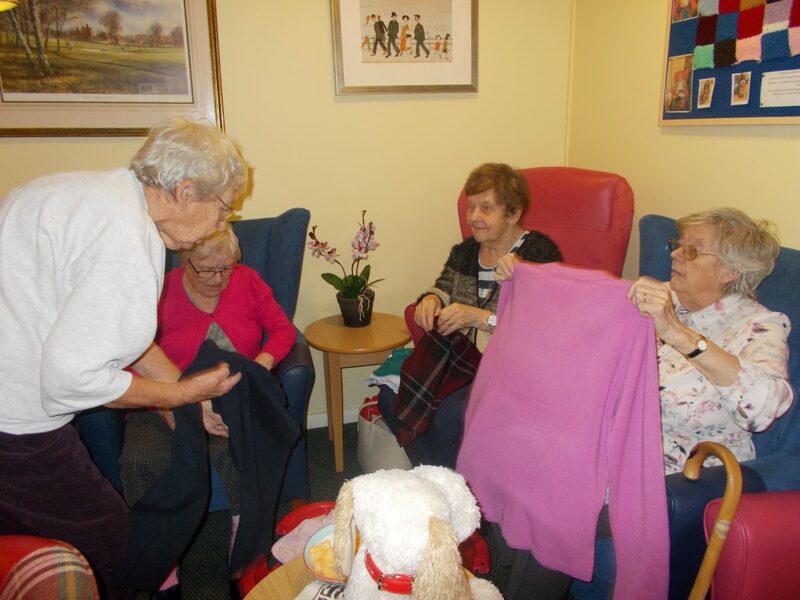 All the residents got involved when the WRVS shop arrived at Woodlands. 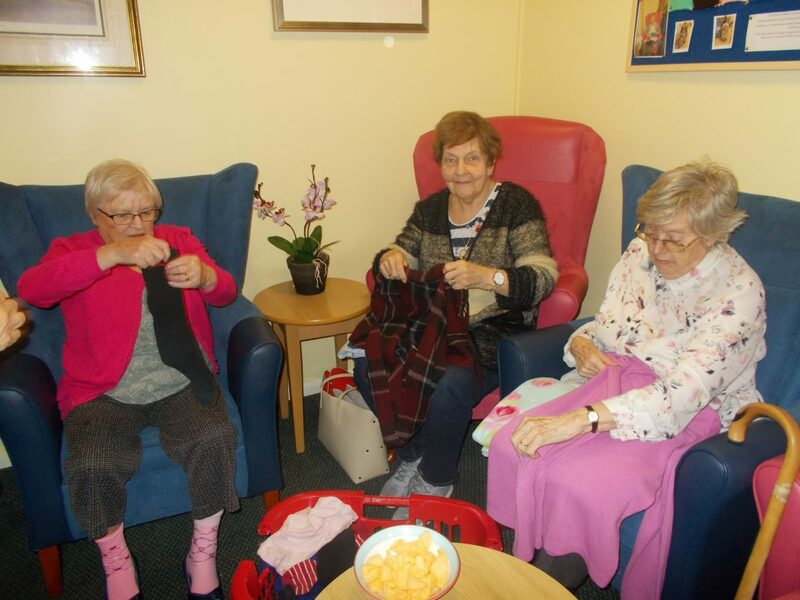 While the ladies did their Knit and Natter the Men’s Club got together. 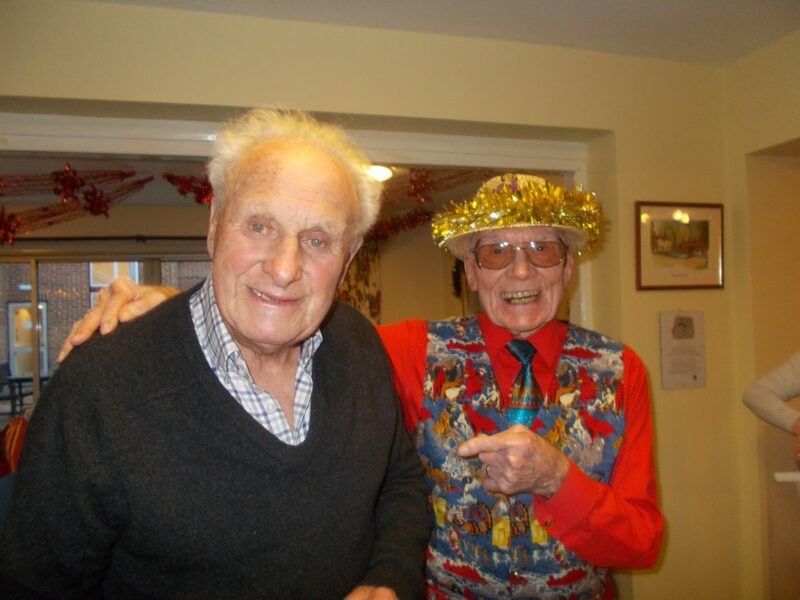 Always a firm favourite with our male residents to play dominoes and cards. 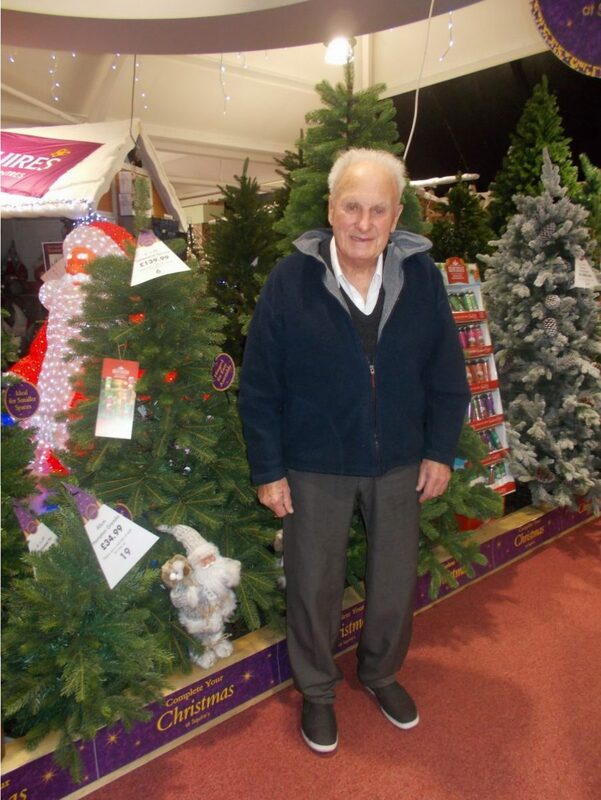 Of course we have our weekly Friday trips to the Wyvern for a tipple and to put the world to rights or for a wander around Redfield’s to get some ideas for Christmas presents. 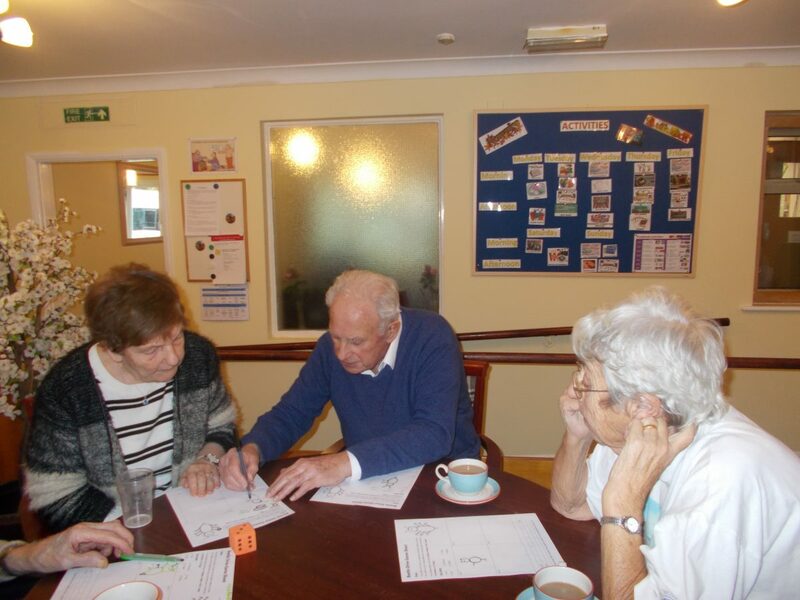 Through the month there is always something different to do everyday, with film club, skittles, table games and puzzles. 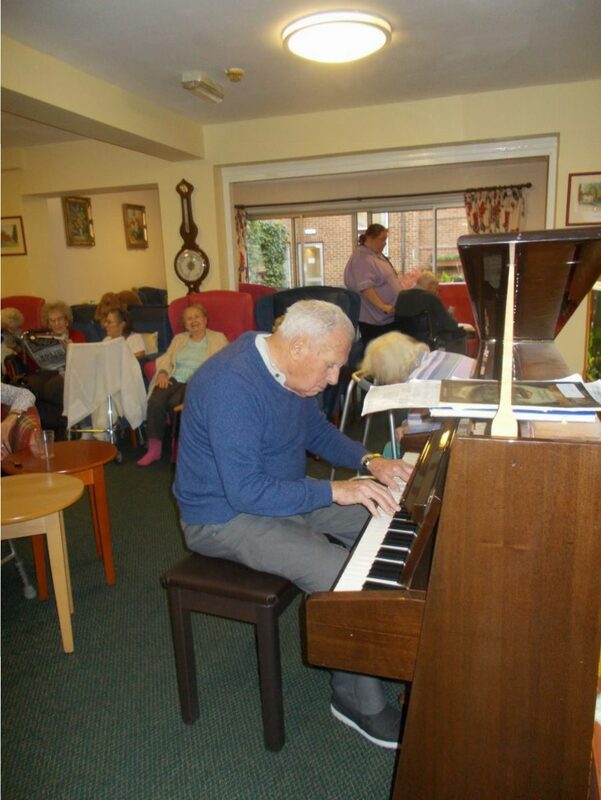 Peter played the piano, there was tea with Hayden and card making with Gareth. 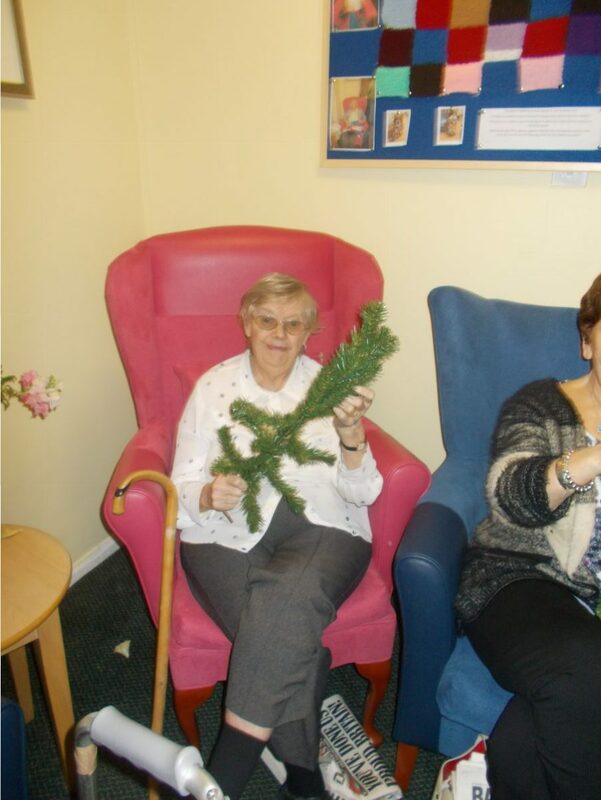 On the 28th Herbert came along to read poetry which made everyone smile and led to lots of interesting conversations. 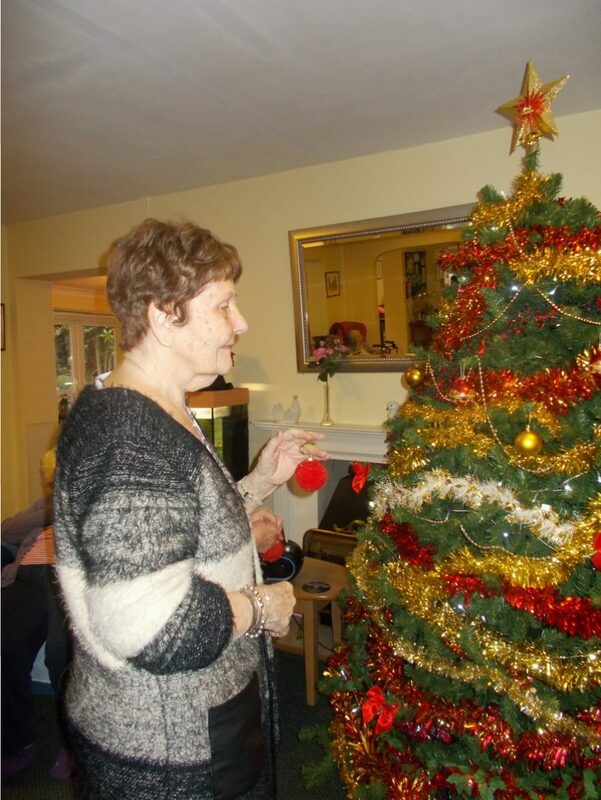 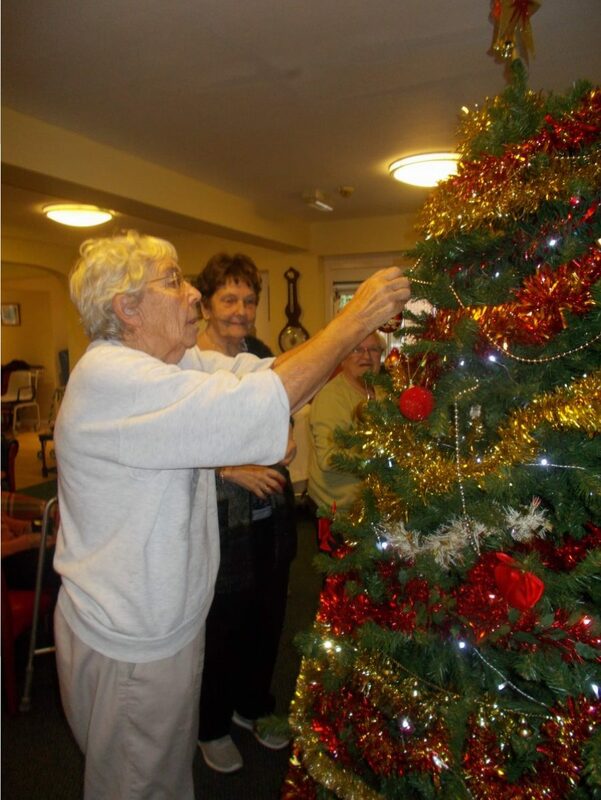 On the last weekend everyone took part in getting the home ready for Christmas.